The UK is home to many of the top universities in the world who are producing ground-breaking research and driving innovation on a global scale. But they are also a huge national asset in the economic and social impact they have locally and across the UK. Contributing more than £95 billion to the national economy and supporting over 940,000 jobs including academics, cleaners, caterers and security staff, universities have an important role to play in supporting their communities. For centuries, many universities have been driven by local concerns and routed in the communities they are a part of, providing a vital link between education, business and civil society. But today they are facing a host of challenges, not least the prevalence of low pay throughout the sector. I’m putting forward the argument that in 2018, universities can serve their place, as well as their students and the world of academia, by paying all staff the real Living Wage. Currently, there are 33 universities that are accredited Living Wage Employers and together they have given over £15 million back to low paid workers. These anchor institutions are making a long lasting, positive impact on their communities by paying their staff enough to live on and fully participate in society. But around 80% of universities are yet to sign up to pay a Living Wage and 5.5 million people across the UK still aren’t earning enough for decent standard of living. Our research shows the devastating effect low pay has on family life and worker health. Over 70% of parents working full-time and earning below the Living Wage reported worrying so much it affects their day to day life. Almost a quarter believe low pay has negatively affected their relationship with their children and their friends and family. This shouldn’t be a surprise when over a third of parents have skipped meals regularly for financial reasons, and 43% said they had fallen behind on household bills. These are the invisible workers playing a vital role in every UK university, whether that’s cleaning student halls, preparing food in the kitchens or keeping everyone safe on campus. Living Wage universities such as the Queen Mary University of London, Middlesex University and Cardiff University, disprove the assumption that increases in staff wages inevitably lead to a trade off in employment, job security or success within higher education. In fact, 93% of Living Wage employers have seen a benefit as a result of becoming accredited with the Living Wage Foundation and more than half report improvements in recruitment into entry level roles (53%), staff retention (52%) and workplace relations between staff and managers (59%). 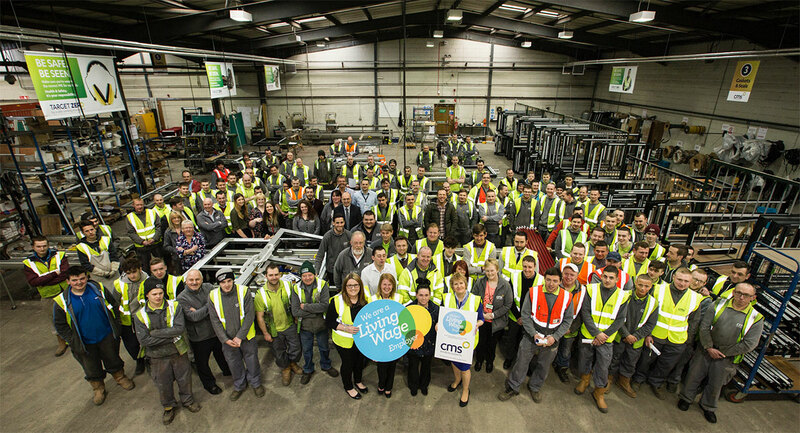 “Queen Mary are proud to have been the first university to become a Living Wage Employer and a principal partner of the Living Wage Foundation. As well as resonating with our core values, the Living Wage is an example of our research in action: the work of Professor Jane Wills, formerly of our School of Geography, has underpinned the campaign since its launch in 2001. Universities are forward thinking institutions that make space for the critical and creative thinking necessary for national progress. But by supporting a system that allows low pay and poor working conditions, they are creating many of the problems they aim to solve. Universities can strengthen our position globally with vital research and world-class education, but they can also strengthen the places they are part of by putting words into action and taking practical steps towards addressing in-work poverty. They can start by committing to accredit as Living Wage Employers and paying all their staff a real Living Wage, based on the cost of living.